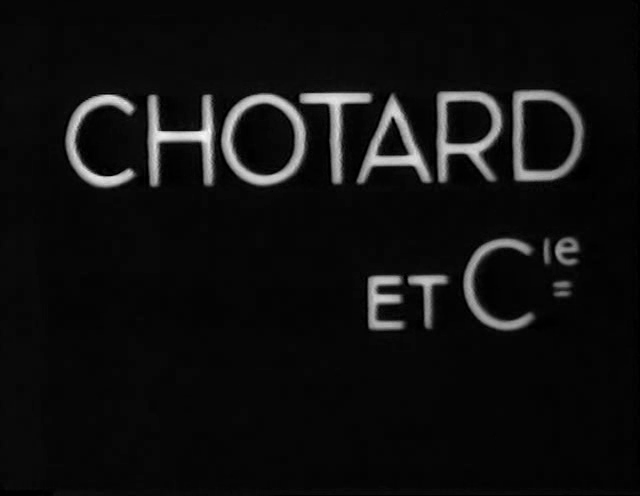 Sandwiched between “Boudu Sauvé des Eaux” and “Madame Bovary” ,”Chotard et Cie” is necessarily a let-down .Adapted from a stage play,it’s a badly constructed movie.Roughly there are three parts and the connection between them is very thin. 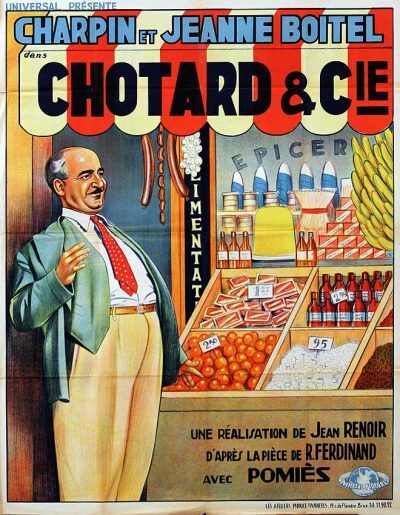 ACT ONE: Chotard (Charpin) is in the grocery business.After a ball,his daughter marries a poet ,much to her father’s annoyance.The son-in-law is no good at anything,not even weighing ham, and giving sweets for free to the children in the neighborhood. 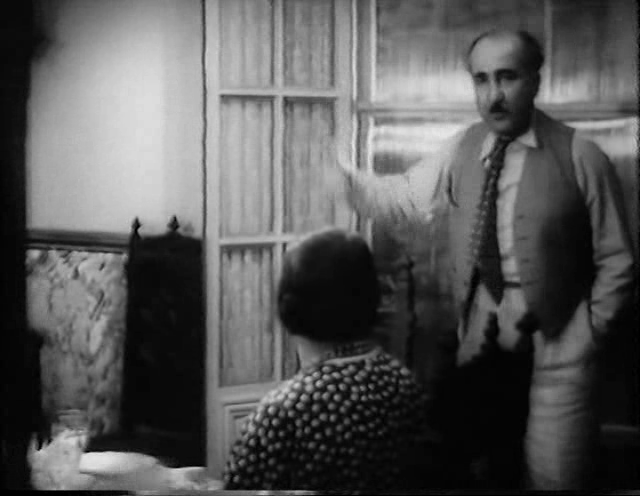 ACT TWO: Out of the blue -we never saw him write a line before- ,the young poet wins the Goncourt Prize !His wife’s family changes overnight.Now Chotard is so proud of the writer he begins to read and urges his clerks to do the same . 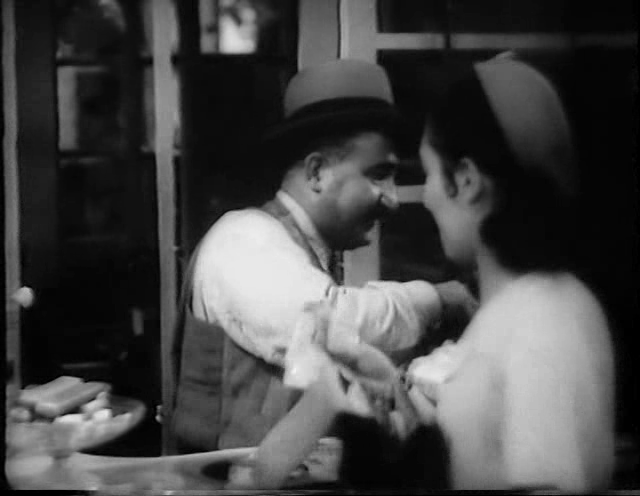 ACT THREE: The winner seems to be sick and tired of working overtime (that is to say : writing) and he sees his father-in-law’s shop going bankrupt.There’s a lot of improvements to be made in this work too.So now grocery and poetry will walk hands in hands. 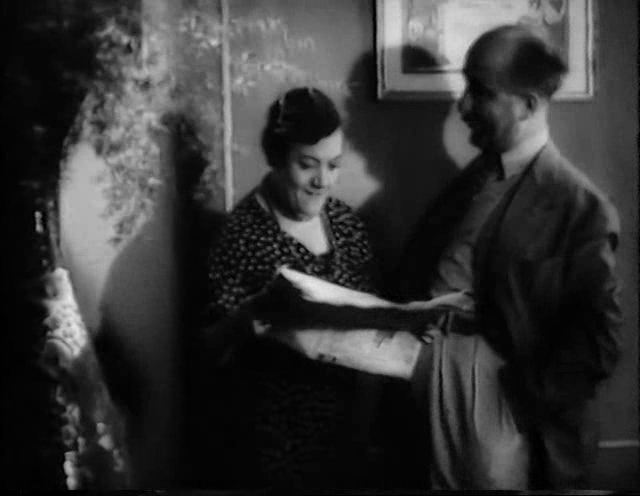 Only one sequence displays Renoir’s touch:when the military man ,proud of his promotion ,comes to Chotard’s place ,he finds a pacifist family,fond of art ,culture and poetry.But the rest is really a mess and most of the lines are not even funny. 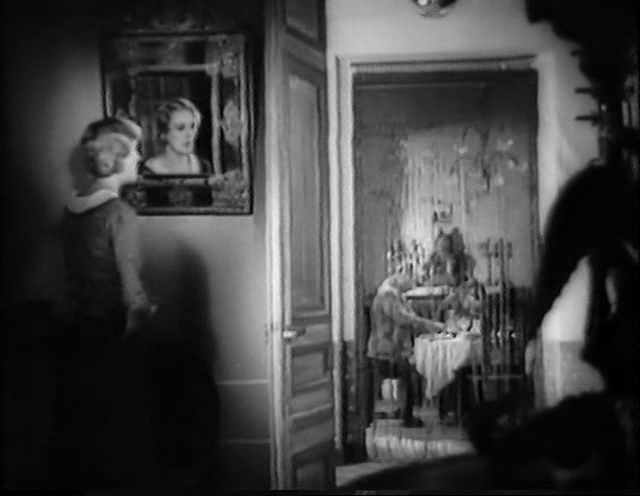 You’d better take Renoir’s “On purge Bébé” if you want to have a good time.